Relocating your company to a new office space is an exciting time, full of endless possibilities. Such a large undertaking will of course create stress, but proper planning in advance will save you and your business time, money and hassle. Tenant Advisory Group has helped hundreds of companies grow their business in a new space. See below for key tips we provide our valued clients. Involve your moving company in the planning process as early as possible to get the best estimate on your relocation timeline. Contact your furniture vendor and/or partner with an interior designer to plan the look and layout of your new space. Have an in-house or on-hand technical expert who can spearhead setting up and migrating your phone and data systems. Designate at least one employee as the Move Captain. This person will communicate clearly with staff regarding packing procedures, as well as what to expect in the new location. Starting fresh in a new office presents the opportunity to shed items you may not have use for anymore. Before making any decisions, prepare a complete inventory of everything in your office — from the conference tables to paperclips. Comb through sensitive items such as bank statements, contracts, invoices, client information, etc. Either pack items in secure filing boxes or arrange for a shredding service to take them away. Get rid of unwanted electronics, computer equipment and furniture by either recycling or donation. Make sure to gather the necessary paperwork for potential tax write-offs. Let your entire network (clients, vendors, professional organizations, etc.) know that your company has a new space and address. Make a list of your current clients and vendors, and notify everyone of your change of address to avoid any hiccups in business or productivity. Prepare and order new stationery, business cards and envelopes to reflect your new location. Contact the post office to have all mail forwarded to your new address. For questions about how Tenant Advisory Group can make your Chicago relocation as seamless as possible, contact us today. Co-working workspaces are becoming the new norm for up-and-coming businesses, offering the creature comforts of a big corporation – high-tech workstations, coffee supplies, conference rooms – at a price startups can afford. However, just because a co-working space seems to have it all doesn’t mean there isn’t room for negotiations or amendments to your lease. Exercise ball chairs and trendy lighting are fantastic touches, but remember to factor in all aspects of your business into the monthly cost. Does it include internet access? Phone plans? Access to communal coffee and food? These amenities can be used as bargaining chips in negotiating with the landlord. Understanding what’s included in your leasing package and what’s additional is key to being budget savvy. One key advantage to renting a co-working space is the option of a short-term lease — three- and six-month terms and even month-to-month payments can be negotiated. (Free Range in Wicker Park offers flexible 10-day passes.) This can be especially appealing to freelancers who want a stable work environment without being tied down to a long lease. Co-working options can be found anywhere, not just with large companies like WeWork. Chicago’s many converted warehouses and vintage office buildings are full of carved out communal spaces with a plethora of opportunity. 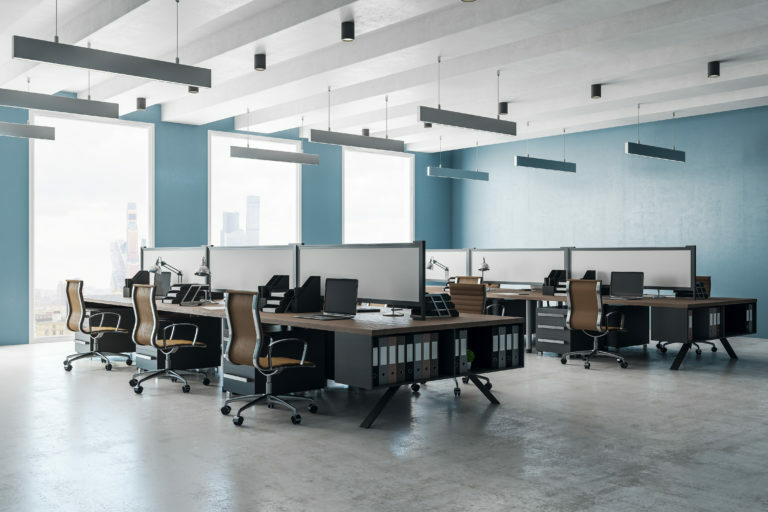 Since leases in these leasing packages aren’t usually as structured, having an expert on-hand can save some of your company’s valuable funds. For more information about how Tenant Advisory Group can help you negotiate your co-working space lease, contact us today.